REally like the colors and graphic effect of this. @Lgood and @ Rick Willis Thanks so much for your comments! I very much appreciate them. I am still new to this site and hadn't seen them until now. 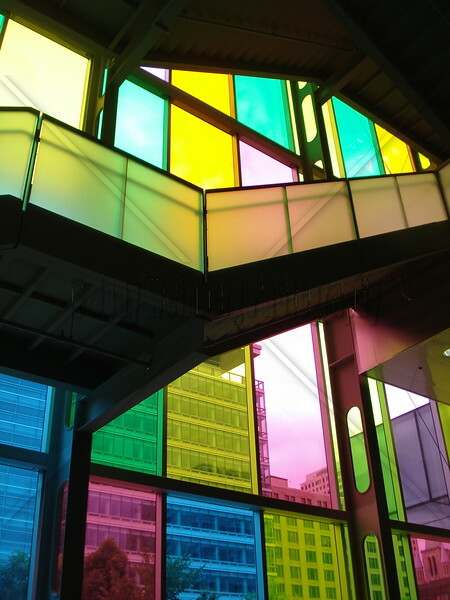 The building was so beautiful with all the different colored glass - all I did was point and shoot, many thanks!